We’re hitting that time of year in which talk and rumor of a new smartphone from a certain California-based company begins to gather steam. This year, however, we could be in for a double-whammy, with the consensus — backed up by a boatload of leaks — indicating that Apple could be releasing a low-cost "iPhone 5C" to accompany the flagship "iPhone 5S." 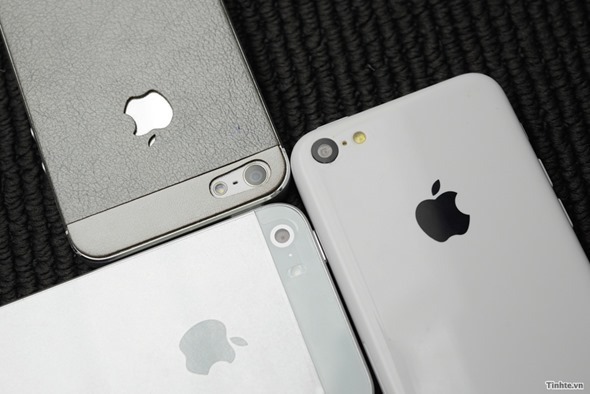 Today, Vietnamese site Tinhte — fairly astute when it comes to legitimate leaks of Apple products – has its hands on mockups of both the iPhone 5C and iPhone 5S, and for the benefit of the tech world, has released a bunch of shots of the devices side-by-side. 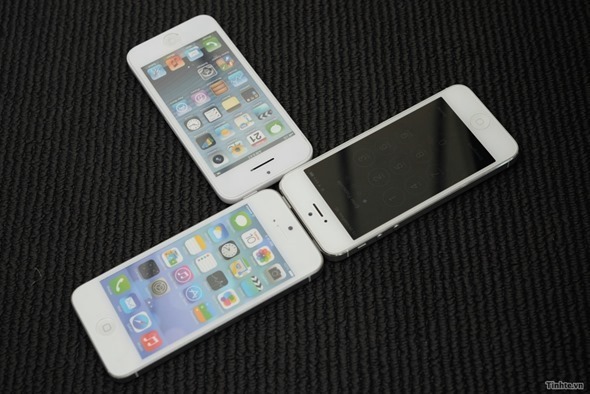 In doing so, we can also draw early comparisons between the two handsets. While both are smartphones designed by the Cupertino company, they’re built to serve very different purposes, and thus, the materials used and general build quality appear to differ greatly. 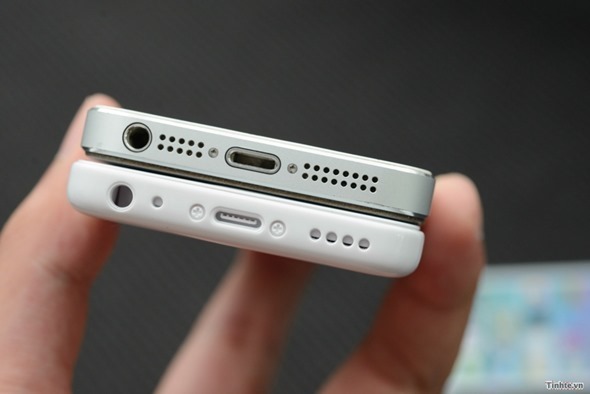 Drafting in the iPhone 5 for an even more well-rounded comparison, we can see the clear similarities between what are likely to be Apple’s three main devices later on this year. 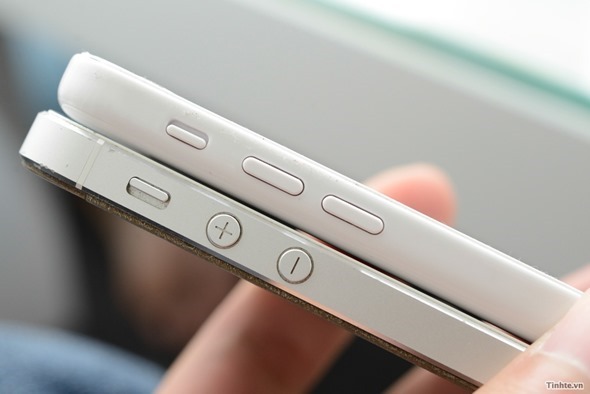 The headphone jack is situated along the bottom, while each also includes the new (and regrettably proprietary) Lightning Dock connector in the center flanked by differing speaker holes. 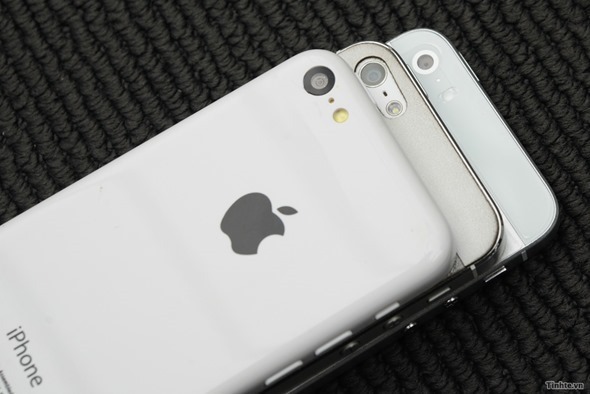 In terms of design, the iPhone 5S is expected to be similar to the current iPhone 5, and these snaps seem to further emphasize this point. We’re expecting a few hardware tweaks, including a faster new processor and perhaps a 12-megapixel camera, but with regards to the general aesthetic, it looks to be pretty standard "S" fare. The iPhone 5C does, thanks to its polycarbonate finish, look decidedly cheaper than the two higher-end models, but that’s not to say it doesn’t still offer a stylish package. In fact, by the looks of things, Apple has done rather well to drive costs down whilst maintaining that so-called "cool factor," and while many current iPhone owners will no doubt switch to the polished iPhone 5S, the iPhone 5C could be a big hit if Apple retails it at the same price as the iPhone 4, as has been rumored this week. With iOS 7 now at beta 5, it’s not going to be too long before we see these devices at the official launch, and if, like us, you can’t wait to see what Apple has in store, make sure you stay tuned to our coverage here at Redmond Pie!